Bachmann E-Z Mate Mark II magnetic N couplers look and perform like the real thing. They couple cars with just a gentle nudge and uncouple just as easily when passed over a magnetic uncoupler. 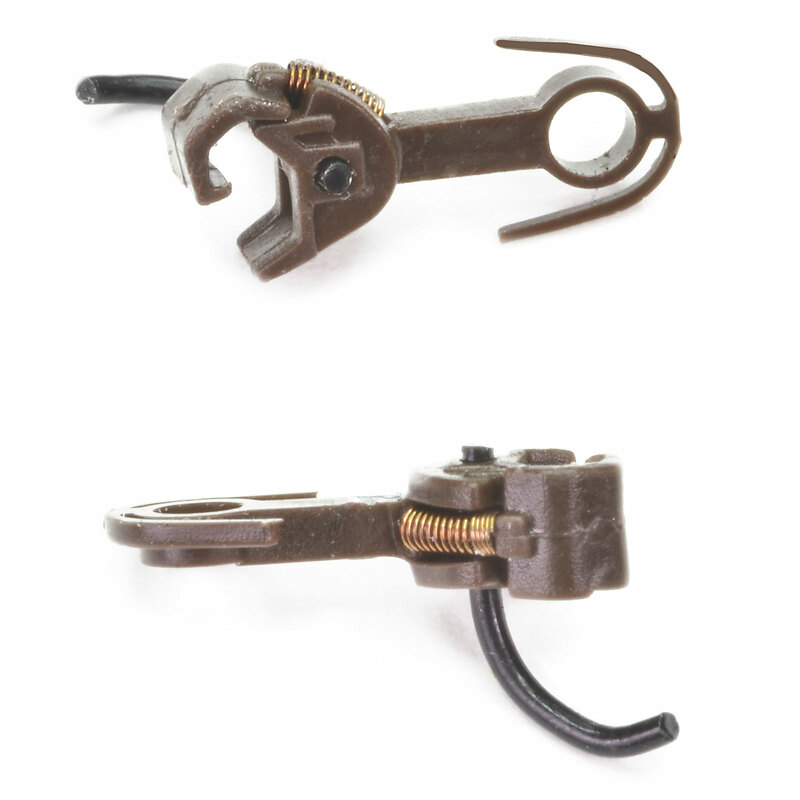 Made of brown engineering plastic with steel trip pins and bronze coil springs in the knuckles for long life. Compatible with all brands of knuckle couplers. Medium-length centered shank fits the coupler boxes of Athearn, Accurail, Bachmann/Spectrum, ConCor, Intermountain, Walthers and Model Die Casting cars. 12 pair. Bachmann no. 78502.